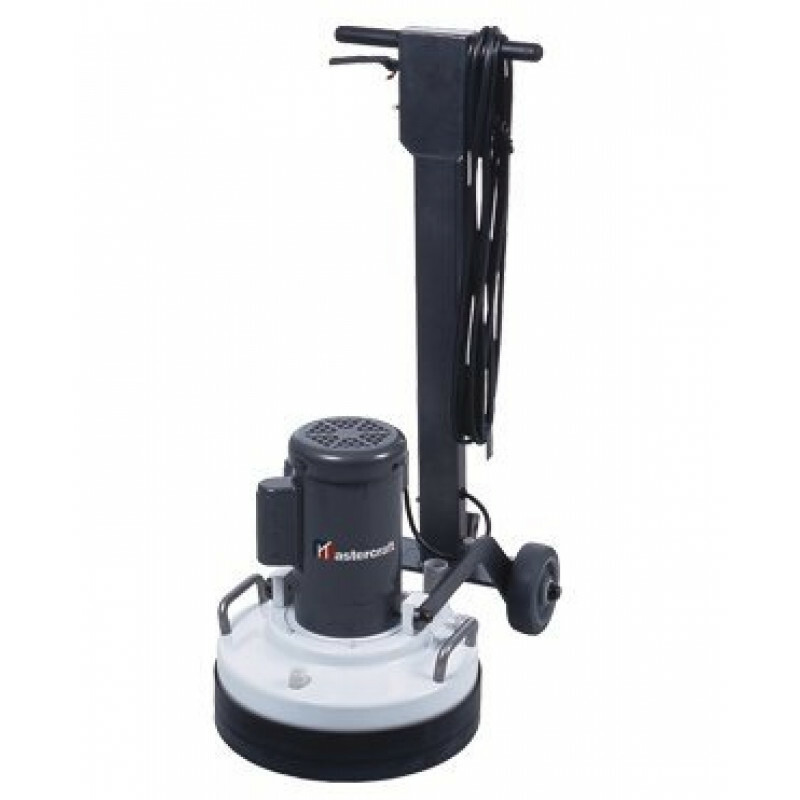 The OnFloor 17" is a multi-surface sanding machine, designed for resurfacing concrete, restoring or preparing wood decks, and hardwood floors. We classify this machine as a 17 inch scrubber, but the actual sanding path is 16 inches. It is a revolutionary new tool in floor preparation. More than just a sander, the OnFloor machine helps bring new life to concrete surfaces, decks and hardwood floors. Unique belt drive, three-head system is designed for smooth operation with superior results. Patented counter-rotating heads make this machine easy to operate and control with no sliding. 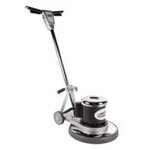 Also check out our other 17 inch 175 RPM floor polishers/buffers for your other floor buffing needs. The best for refinishing hardwood floors, deck refinishing, mastic removal, concrete grinding, concrete polishing. Flexible startup trigger is non-conductive, with a safety lock-out to prevent accidental startup. Operator activates the machine with a gentle squeeze. Heavy-duty switch is set in steel switch box with a 15 Amp circuit breaker. Handle and frame are constructed of heavy-duty steel for strength and durability. Heavy-duty motor with dual capacitors is equipped with a 1.5 HP motor. Adjustable bottom dust skirt provides dust containment during operation. 30' power cord - 12/3 wire grounded with water resistant jacket. Outer bowl w/ lift handles and vacuum port are all made from spun steel, while the inner bowl is made from cast aluminum.